Promo is valid for all prepaid subscribers of SMART, TNT and SUN who buy e-Load from any LoadCentral retailer. 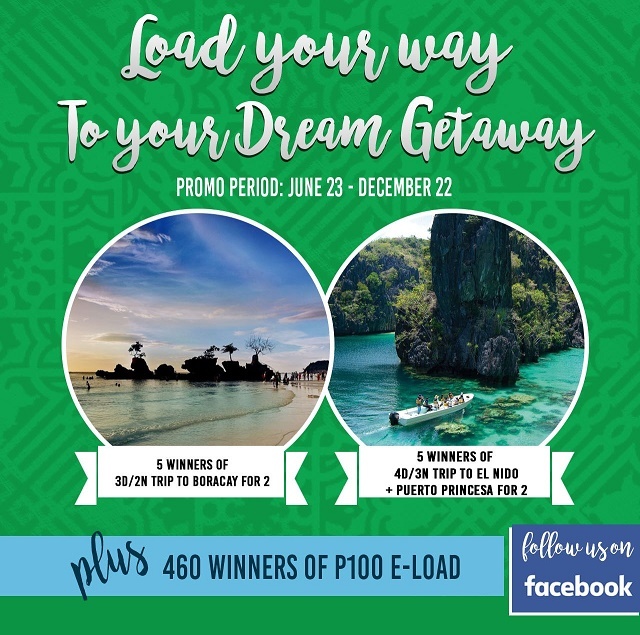 To qualify, SMART/TNT/SUN subscriber should purchase single or accumulated total e-Load purchase of Php500 during the promo period. Qualified SMART/TNT/SUN subscribers will receive an SMS informing them that they can already submit their details at the promo page. To submit e-raffle entry, SMART/TNT/SUN subscriber should fill-out the form on the promo page. Subscribers must provide their complete name, complete address, cellphone number and email address. SMART/TNT/SUN subscriber can only win ONCE PER DRAW. If a name is drawn more than once, he gets the bigger prize. DTI representative will be present every draw. The promo organizer’s decision with the concurrence of DTI shall be final. Winners will be notified via registered mail. To claim the prize, winner must present two (2) valid government issued IDs (e.g. Driver’s License, SSS ID, Postal ID, Voter’s ID, and TIN card with picture). Winner must claim his/her prize within 60 days from receipt of notification through registered mail. Failure to claim within the allotted time/duration forfeits the winner’s right over the prize with prior DTI approval. New winner will be drawn at 3/F CWI Corporate Center, 1050 Quezon Avenue., Quezon City. If winner is a minor, photocopy of his guardian’s TIN shall instead be submitted. Proof of relationship must also be presented, such as birth certificate or a notarized affidavit of guardianship (for those guardians who are not the winner’s parents). E-Load prizes will be sent automatically to the winning mobile number. Prizes are transferable provided that details are submitted 1 month before the flight schedule. Prizes are non-convertible to cash. Employees of Uniwiz Trade Sales, Inc. including their relatives up to second degree of consanguinity or affinity is disqualified from joining the promotion.